The term sole residence is used to refer to children who continue to see their fathers, but who live primarily or exclusively with their mothers. In the sole residence families, the exact amount of time that the children spent with their fathers was not designated. 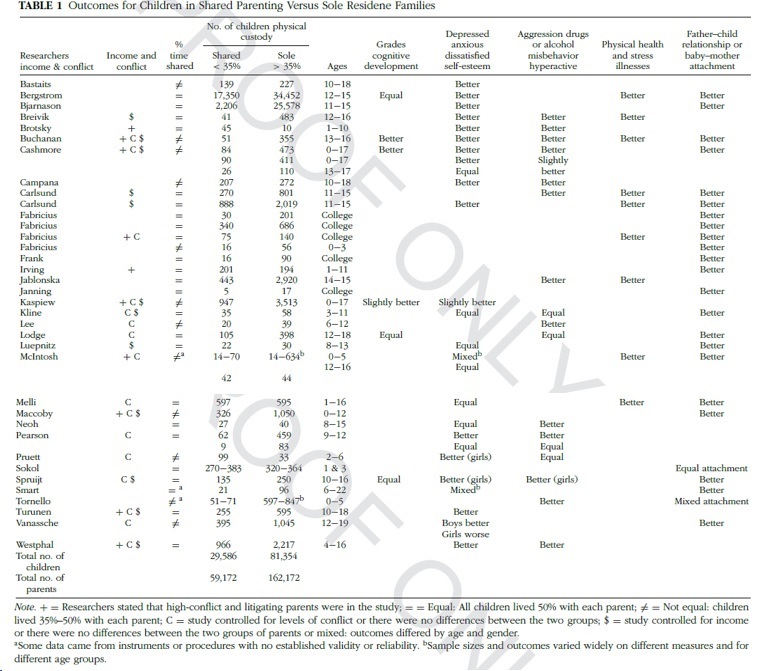 As noted in Table 1 (below), in 24 of the 40 studies, all of the shared parenting children lived 50% of the time with each parent. 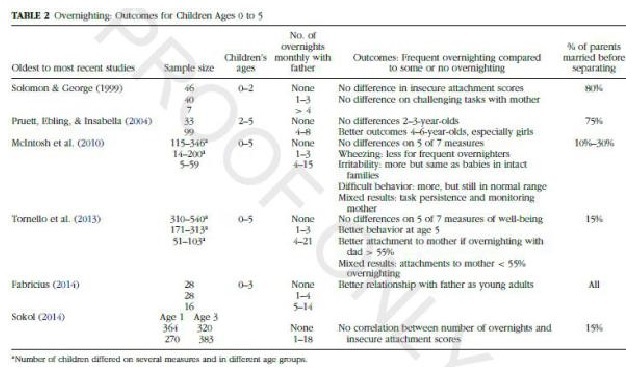 In the other 12 studies, the children lived with their fathers anywhere from 35% to 50% of the time. (NB. Table 1 is displayed here at the largest size possible. Apologies for any difficulties in legibility caused thereby).